Perhaps one of the most sought after competition in EPSO is for the Administrators function group, otherwise shortened as AD. It is the top position for any career profiles you could apply for. They are usually the ones to support decision-makers in fulfilling the mission of their institution or body. While the opportunity for growth in this function group is endless, the possibility to succeed may not be as wide. But before you discourage yourself, we are here to tell you that through preparation and hard work, nothing is impossible. Being employed as an administrator, after having successfully passed one EPSO Administrators Competition , you will now be involved in drafting policies, implementing EU law, and analysis or advisory work. Depending on your skills, you will have the opportunity to work as an Administrator in your field of competence and according to the EU profiles outlined on the EU Careers website. . Even the competitions are organized to fill these outlined profiles. This career profile is for those who have professional auditing experience and would like to work for EU as an auditor. He or she must be able to meet its demanding requirements in financial, performance and internal auditing. Communication officers deliver written and oral information and could work in areas such as external communication with the public at large, ranging from the media to visitors’ groups. This career profile fits for those who graduated with a generalist background or experience in public administration and policy. A policy officer could go to many different sectors, be it from information and technology to human rights. If you are a budding diplomat, then working as an external relations officer for the EU may just be for you! Those who want to work as Administrators under this career profile will be EU financial managers working with very complex financial structures. As technologies continue to advance, so does the need for more IT specialists, and in this case IT Administrators, to ensure that the EU institutions are functioning properly and carrying out work that affects the lives of millions of Europeans. Conference interpreters are vital for ensuring that the discussions held at meetings are correctly interpreted into an official languange of the EU, either simultaneous or consecutive interpreting. Those interested in this career profile must have perfect command of one EU language and a thorough command of at least 2 others with an appropriate qualification in conference interpreting or a degree plus one year’s professional experience as a conference interpreter. Just like the conference interpreter, translators ensure that the right information like EU policies is transpired and understood across the different EU countries, helping 500 million Europeans. Due to the rigorous task at hand, EU lawyer-linguists are for those capable lawyers with outstanding linguistic abilities in order to ensure that all new legislation has the same meaning in every European language. From lawyer-linguist, those who are more interested to become a legal administrator in EU institutions are for this career profile. The EPSO AD function group has its own grades that identify the level upon which the participant could apply in certain positions. It seeks to distinguish those who are still starting out their career path from those who have developed their expertise. The administrator career grade ranges from AD 5 to AD 16. The starting grade for EPSO Ad is AD 5. This grade refers to those graduates beginning their careers as administrators in the European institutions. AD 5 is the entry-level for University graduates. From the entry-level grade, AD 7 is for those in more specialist roles. This requires several years of relevant experience with at least 6 to 7 years. The tasks at hand for those administrators recruited at this grade highly depend on the career profile they will be seeking. Rest assured, they will occupy positions that are higher and at a level of senior-decision maker level. Continuing from AD 7, grades AD 9 and AD 12 are middle management level. They require previous management experience. This part of the competition is directly after the validation of your application form. It will be held in one of EPSO’s accredited centres. Following the MCQ is the intermediate test, commonly known as the E-tray test. Once you have passed and have one of the highest overall combined marks for the abstract reasoning and situational judgment tests, you will then be invited to sit the e-tray exercise held in your language 2. Rounding off the EPSO AD Test process is the Assessment Centre. Given that you have one of the highest overall combined marks to qualify for this phase, you will be invited to attend an assessment centre for 1 or 2 days with the tests still held in your language 2. 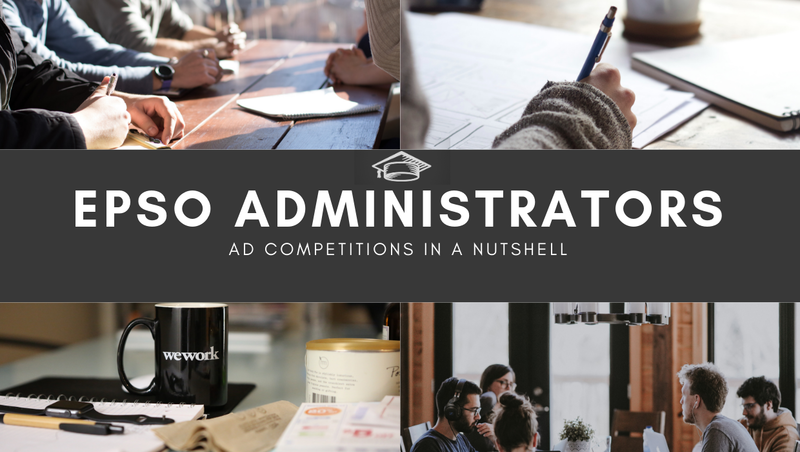 For AD 5, the entry-level administrator is estimated to earn around 4500 euros. AD 7, on the other hand, could start from 6000 Euros if you are eligible for the expatriation allowance. Nevertheless, you must take note that these are only rough estimates and can only be fully determined by considering the many factors listed above.